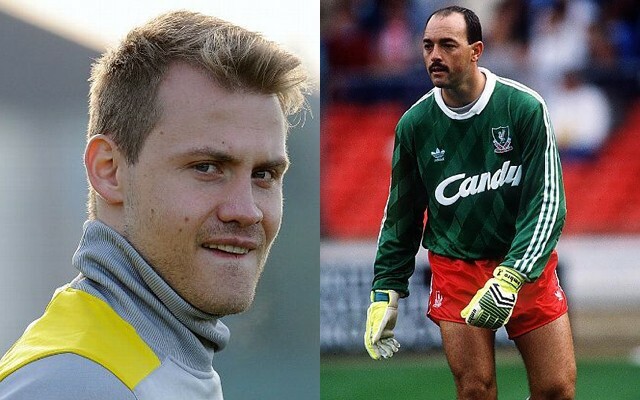 Legendary Liverpool goalkeeper Bruce Grobbelaar has been Simon Mignolet’s most prominent and public critic, but it now seems the Zimbabwean is directing his anger at his coach instead! John Achterberg has been Liverpool’s goalkeeping coach since 2011, but according to Grobbelaar, he’s the man to blame for Mignolet’s perceived inability to use his feet properly. “At the moment, they (Liverpool) have a goalkeeper who has been criticised by me quite often, but now I am going to stop my criticism of him,” he began. Even more oddly, Grobbelaar then threw his hat into the ring, offering to sort out the ‘problem’ himself! Grobbelaar currently works as a coach at Ottawa Fury as a goalkeeping coach in Canada, but seems to be pining for a more high-profile job. Just weeks back he slammed Mignolet, via Sky Sports, although his recent comments suggest he regrets the remarks. “He is not the overall package,” he began. “The overall package is good with your feet and coming out and commanding your area. Mignolet’s been average this season, but the most important comments regarding his performances come from his manager Jurgen Klopp, who’s more than happy with his keeper. “I am absolutely satisfied with our goalkeeping situation. I am sorry to kill your stories about German goalkeepers and goalkeepers from Stoke,” he told the Guardian at the start of this month.